Our some readers are planning to disguise themselves as powerful Angry Birds to fight against poor Green Pigs in upcoming Halloween party, but a few necessary items has been unavailable. Don’t worry, we found several alternatives. 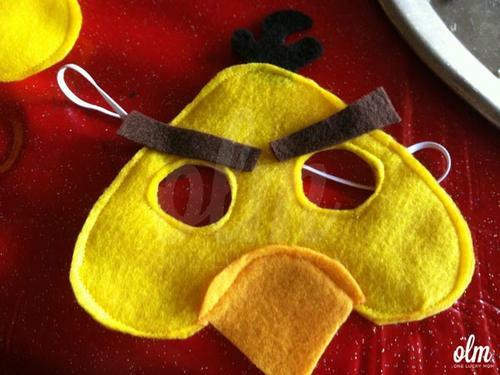 At first, you can make your own Angry Birds felt masks. A passionate mom from One Lucky Mom, a creative blog has offered a detailed tutorial to teach us how to make red and yellow Angry Birds felt masks with cute details, and based on those images from the article, you can also make other Angry Birds felt masks. Moreover, there are several Angry Birds plush masks, each one costs $46.95 USD. Apart from that, you can search out a few nice Angry Birds masks on Amazon or eBay.